Leading scientists and doctors from around the world recently converged on Nago to attend the Okinawa International Conference on Longevity (OICL). Held Nov. 12-13 at the Busena Resort’s Bankoku Shinkokan hall, where the G-8 summit met last year, it was the first comprehensive scientific meeting concerning longevity and successful aging. The conference set out to share those “secrets” of the Okinawans that have given them the highest life expectancy in the world, the largest proportion of centenarians in the general population and exceptionally low mortality rates for diseases that include breast cancer and coronary heart disease. “It’s the best way to transmit our ideas about Okinawan longevity,” said conference chairman Dr. David Itokazu. Dr. Bradley Willcox, also of Harvard University, discussed the presence of longevity-enabling genes and how lifestyle choices determine whether or not people can achieve this long life span. He also said that in Okinawa, that portion of a person’s life spent suffering from chronic disease was much shorter than in other places. This means that Okinawans, in addition to having a longer life span, enjoy more healthy years free from medical problems during which they can live full and active lives. Dr. James Trosko from Michigan State University talked about how aging was linked to environmental stress, citing as an example the liver of an alcoholic that looked like the liver of an old man; the stress of trying to detoxify the body had aged the organ. He also warned that as the Okinawan diet becomes more Western, leading to overweight “baby sumo” children, Okinawa may lose its edge as the country with the highest median life span. 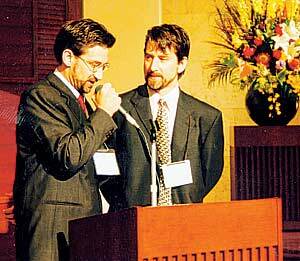 Many scientists and doctors presented their research on antioxidants and discussed the subject in detail. Antioxidant micronutrients are believed by many in the scientific community to offer protection against ongoing free radical activity in the body. Free radicals are thought to cause tissue damage and disease, and may result in the aging process and chronic age-related diseases including Alzheimer’s disease, cancer, cardiovascular disease and cataracts. One of the most interesting parts of the discussions concerned the vital role that fruits and vegetables play in providing these antioxidants. Professor David Thurnham from the University of Ulster stressed the importance of having a high intake of fruits and vegetables and said that this was one of the keys to good health. As Bradley Willcox, M.D., and Craig Willcox, Ph.D., discussed in their book “The Okinawa Program,” longevity is not just related to one single factor. Genetics, diet, exercise, spirituality and social environment all play a combined role in quality of life and in prolonging life. Okinawa Governor Keiichi Inamine attended the conference and expressed some of his own views. He talked about his pride in the fact that Okinawan ingredients are now being used worldwide and also discussed his concerns that younger people are eating burgers, spaghetti and curry rice rather than traditional Okinawan food. Inamine added that he would like to see Okinawa become a “healthy resort,” where people can come and relax, eat Okinawan food and immerse themselves in the Okinawan lifestyle. 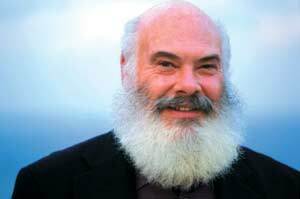 Dr. Andrew Weil, one of the keynote speakers at the OICL, is program director for integrative medicine at the University of Arizona. He has been on the cover of Time magazine, has written several best-selling books and was recently described as one of the 20 most influential people in America. Japan Update had the opportunity to talk to him at the conference about his thoughts and views on healthy living and Okinawa. Japan Update: What do you think are the major problems with the Western diet? Japan Update: What can we learn from the Okinawan diet? Weil: Many more vegetables and a greater variety of vegetables, more legumes, especially soy, and other special Okinawan foods, goya and ukon. Japan Update: You often mention the benefits of a Mediterranean diet. What can Okinawans learn from this? Weil: Using olive oil, having dairy products in the form of cheese rather than milk and more whole grains. Japan Update: What relaxation or exercise techniques do you practice and recommend? Weil: Breathing. Breathing techniques are simple and require little time and no equipment. Japan Update: What are the scariest examples of alternative medicine you have heard about? Weil: Things like intravenous hydrogen peroxide are just horrible and dangerous. Japan Update: One of the lecturers said today that vitamin supplements are not effective? Weil: Fruits and vegetables are the best source of vitamins; you should eat plenty of good-quality, natural vegetables. Supplements can act as insurance but not as a substitute. Fresh vegetables and fruits are the best. Japan Update: What is the most common misconception about you? Weil: That I am trying to do away with traditional medicine. Traditional medicine is right when it’s the right thing to do. Japan Update: Can you give us one key point or piece of advice to take away with us? Weil: Lifestyle choices have a huge influence on the way we age, and a lot of this is within our influence.